This blog details the history of Emanuel School (Battersea) alumni who served in the First and Second World Wars. Over 1600 Emanuel boys served in the First and Second World Wars. 145 are known to have lost their lives in the First and 94 in the Second World War. Douglas Finlay DFC 103 Squadron Bomber Command. In The Telegraph Magazine (http://www.telegraph.co.uk/history/world-war-two/11558345/The-Long-March-retracing-the-footsteps-of-10000-World-War-Two-PoWs.html) on Saturday 25 April 2015, photographer James Finlay is interviewed about his new project which finds him retracing his uncle’s footsteps during the winter of 1945 when thousands of Allied POWs were forced to march west by their German captors as the Soviet forces pushed forward into Germany. 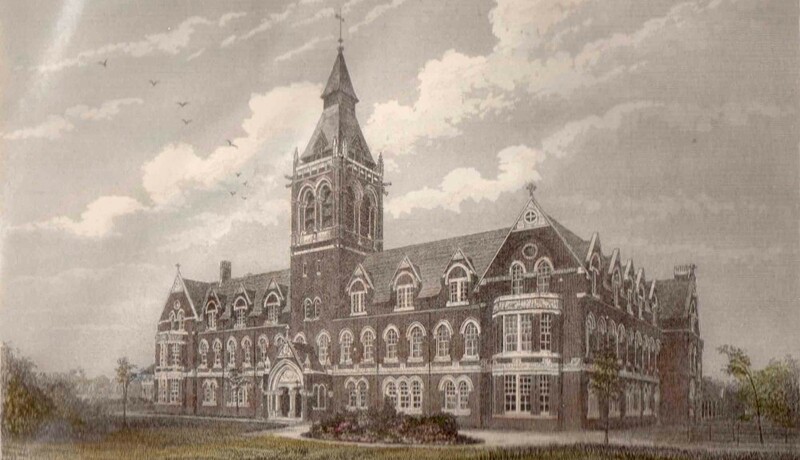 James’s uncle Douglas Finlay was Captain of Emanuel School in 1940. Douglas Finlay in Emanuel OTC uniform 1938. 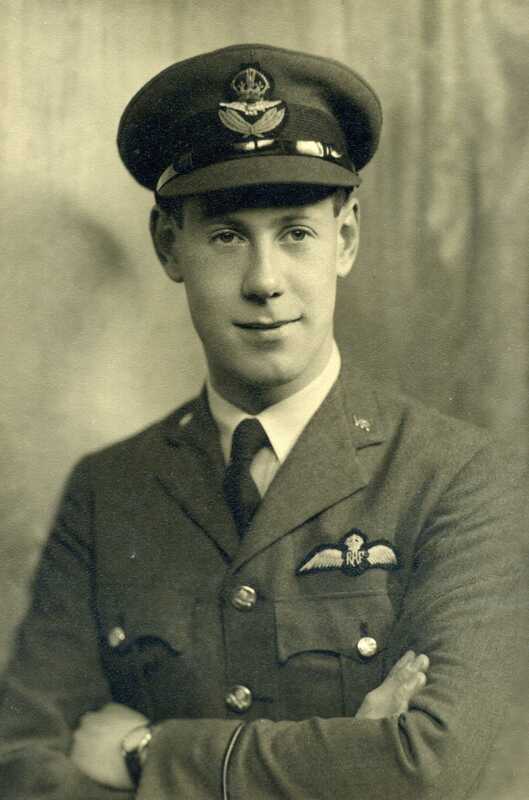 He served in 103 Squadron Bomber Command and was awarded the DFC. Douglas was made a POW after his aircraft was shot down over Germany in September 1943. 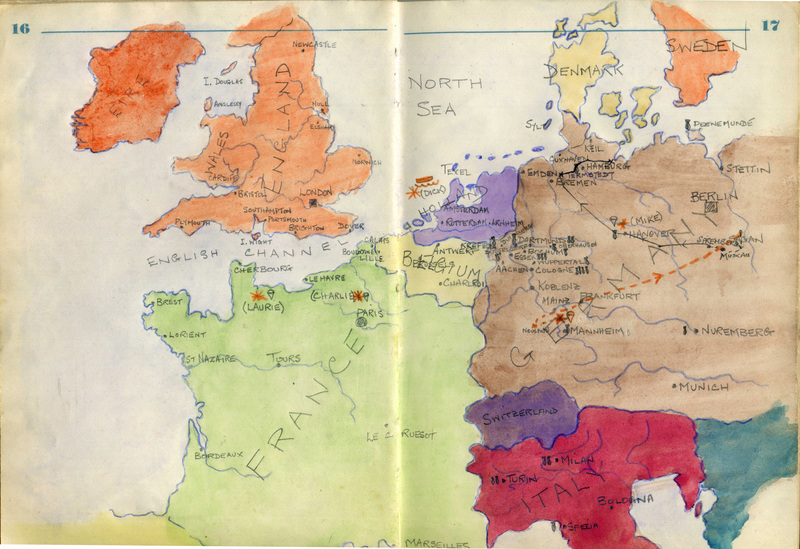 A map from Douglas’s POW Log Book showing where he and fellow POWs landed after either being shot down or crashing in Nazi occupied Europe. He was imprisoned in Stalag Luft-III, the famous ‘Great Escape’ camp until 27 January 1945 when he, with 10,000 fellow POWs were forced to march west during a bitterly cold winter. His story is retold in Emanuel School at War: The Greatest Scrum That Ever Was pp. 499-505 (available to buy from Emanuel School, Troubador or Amazon for £30) James is photographing what is left of the route the POWs followed. Douglas Finlay (first from right) in room 6 Block 123, Stalag Luft-III. This entry was posted in Second World War and tagged 103 Squadron, 1945, DFC, Douglas Finlay, Forced Marches, Germany, Photography, POW, RAF, Stalag Luft III, The Telegraph, WW2 by Emanuel School at War. Bookmark the permalink.